It was the second directorial motion picture by Atlee, his first was Raja Rani, it also did well at receiving attention and collecting huge numbers. If you loved his style of directing the scenes, then you will fall in love with it. Theri, starring Ilayathalapathy Vijay as various, Samantha & Amy Jackson playing the female lead, is a commercial masala entertainer. It is mixed with comedy, mass action, superb acting and catchy dialogues that would sum-up your 3 hours keeping you at the corner of your seat. The movie received decent reviews from both public and critics. No one criticized anything about the film. All had good words to say about its plot, screenplay, and other necessary elements. Though, you might find few people giving 2 or 3 stars to it, do not worry as it is biased. 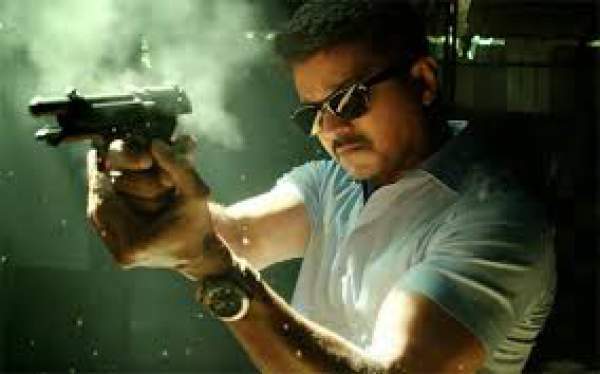 Vijay returned after Puli, which did not meet the expectation of the audiences and performed below average. To recover his status back, he had to come up with some more thriller and masala entertainer. And that is what you will find in his latest release Theri. Watch it with your family or relatives or even friends; it won’t let you complain even a bit at the end as you would love the experience. Theri successfully earned the biggest amount of the year in Kollywood, which was Rs 28.46 Crores on the first day of its worldwide release. The most part of it came from Chennai. On the next day, it minted Rs 9.4 Crores from the domestic box office, a well but not satisfying amount. But it was a working day in most parts of the South India. So no issues! But the VJ, who could not watch it on the Friday or Saturday, would definitely be giving it a go on Sunday, as it an official holiday in all departments. People are flooding in theaters; all the shows are houseful today. Today’s collection would be around Rs 19 Crores. *All this information is from confidential sources, the exact figures will be delivered as soon as any official announcement is there on The Internet.